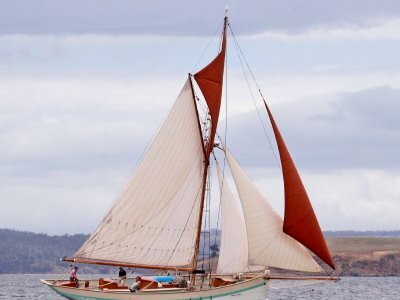 Built in Denmark in 1925 as a sailing fishing boat and worked the North Sea waters for many years. Sold to Germany in 1980 and fitted out as a pleasure yacht. 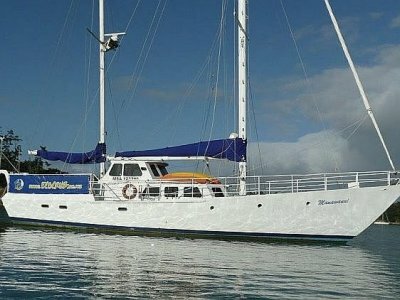 In 1990 she sailed to Tonga, then to New Zealand in 1995 where she was bought by the present owner. 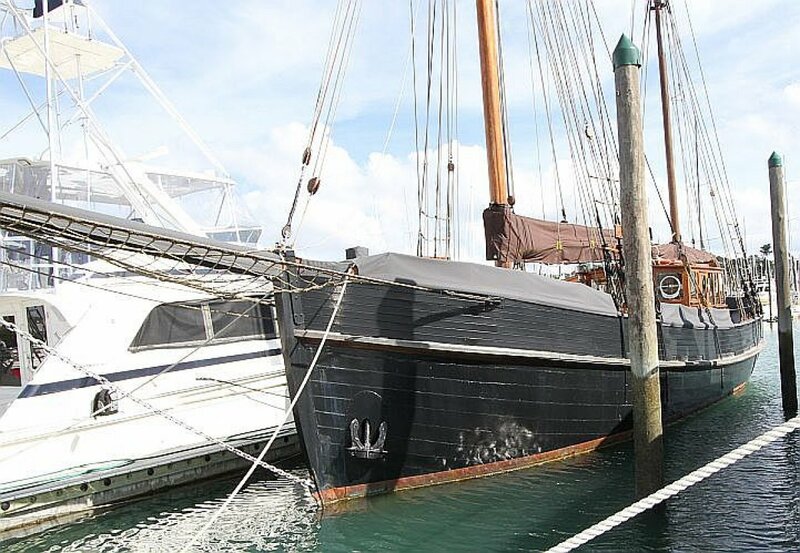 Vessel had full restoration which ended 2001: new engine / electronics / wiring / mast / rigging / sails after totally gutting the interior and starting again. 50% of planking was replaced with English oak. 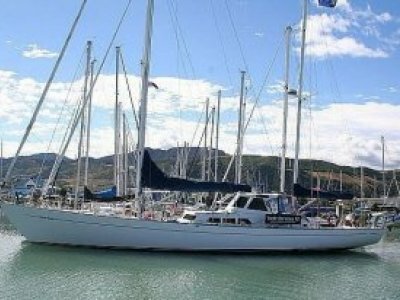 Danish Sailfisher Gaff Ketch, 190hp 6cyl Yanmar diesel, accom for 12 (aft cabin with double & single, 4 pilot berths in the saloon, a double and 3 singles in the forward cabin, diesel stove, 2 heads & showers, fridge & freezer, liferaft, sounder, vhf, autopilot, gps, 24m radar, Victron inverter/charger, shorepower, Westerbeke genset, dinghy & o/b.